Happy summer 2013 everyone! I hope you’re all enjoying some nice weather, good food and quality relaxation time. Summer is really one of the best times to sit down and watch anime, don’t you think? There are few things better on an especially hot day than sitting down with a bowl of watermelon and watching your favorite series. I personally have a few favorite shows and movies I’m saving for those days- most of them aren’t new to this 2013 summer season, but they all have something about them that just brings to mind all things summer. This is a show I started a while back and just haven’t gotten back around to until recently- but honestly, summertime is the perfect time to watch it. When I tried to describe this show to a friend the other day, I summed it up as a “fishing/slice-of-life/sci-fi” show. And that’s… pretty accurate, actually. The story centers on a boy named Yuki. He just moved to the island of Enoshima with his grandmother- but unfortunately, he suffers from social anxiety and can barely even speak to his classmates. This changes when he meets Haru, a boy with a magical water gun who claims to be an alien. According to Haru, Yuki is the one who will save Earth. By fishing. Somehow. The full series is up for streaming on Crunchyroll. High school student Kenji Koiso is looking forward to a summer full of work thanks to his job as a code monkey on Oz, the largest online community in the world. But when classmate Natsuki comes and offers him a job that would have them spending the summer together- well, how could he say no? And how could be possibly know that saying yes to Natsuki will lead to a whirlwind adventure with her large extended family and a disaster that could destroy the world as they know it? I don’t just recommend this one because of the title. Summer Wars is actually one of the best animated films I’ve ever seen due to its strong cast of characters and heartfelt story of the bonds within a family. That it takes place in summer is really just a bonus. Unfortunately, Summer Wars isn’t available to stream online, but you can buy it on DVD and Bluray. Believe me, it’s worth it. Alright, so I haven’t seen this one yet. But come on- a swim club full of attractive bishounen types? That has summer written all over it. Just watch the PV for yourself. You’ll either think it’s looks fantastic or hilarious. Free! isn’t out yet, but the series premieres in just a day or two and will be streaming on Crunchyroll. The main cast of characters of Anohana all grew up together, spending their childhood summers playing video games and trying to make fireworks. That all comes to an end, however, when tragedy strikes and one of them is gone forever. The group drifts apart, going their separate ways. Fast-forward to a few years later. While now old enough to be in high school, Jinta has become a hikikomori who is afraid to even step outside. He might have spent his entire school year holed up at home if not for the fact that he’s seeing the spirit of his long-lost childhood friend Menma. Her appearance sparks the beginnings of a reunion between old friends; but there’s still old grudges, wounds, and secrets that haven’t been forgotten over the years. Watching Anohana makes me nostalgic for childhood summers and old friends. It’s a sort of bittersweet nostalgia though, because this series is not just about remembering better times. It’s also about learning to grieve and let go of the past. Half of the series is available for everyone to watch on Crunchyroll; the latter half is for premium members only. 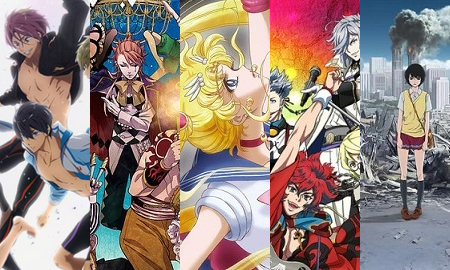 Alright, so that’s my top four anime series for summer. What about you, readers? 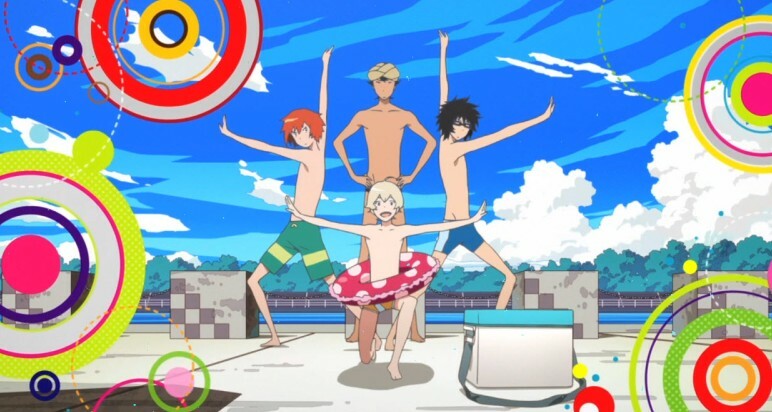 Do you have an anime that embodies summertime to you? Leave your choices in a comment!